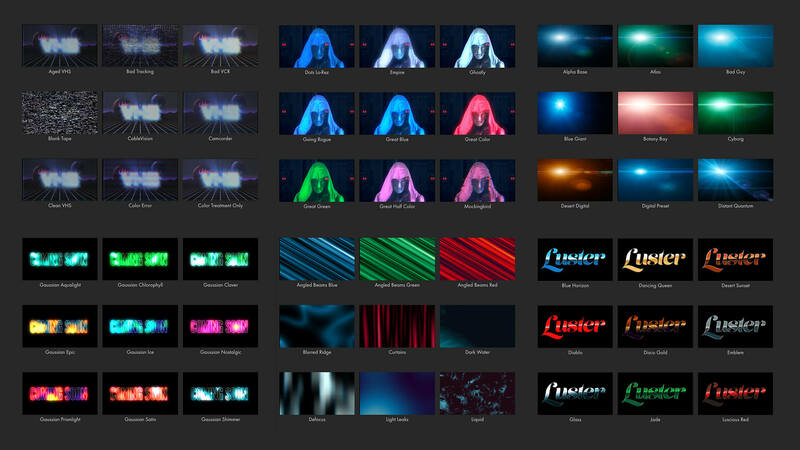 60 GPU – accelerated effects and transitions for editors and motion graphics artists. Stylize your images with Red Giant Universe. Give your footage authentic retro and modern looks using tools such as VHS, Carousel Retrograde, Glitch, Holomatrix II and more. Create beautiful backgrounds loop and motion graphics elements with tools like HUD components, Line, Knoll Light Factory EZ, Fractal Background and more. Build fast, unique transitions with little or no work. Add lights and other effects that give better results and more shortcuts, choice and control than anything else in your host application. All the Universe ons running on the GPU, which makes them incredibly fast.